Confused about the planning, legal and regulatory steps you should follow? Did you know that home-based businesses are required to hold permits to operate legally in most states? What about incorporation? Many new businesses assume they need to incorporate or become an LLC from the get-go—but the truth is, more than 70 percent of small businesses are owned by unincorporated sole proprietors (although even this group is required to register their businesses). So, variables aside, there are still some fundamental steps that any business needs to follow to get started. Below are steps that can help you plan, prepare, and manage your business—while taking care of the startup legalities. Not all these steps will apply to all businesses, but working through them will give you a sense of what needs your attention and what you can check off. Yeah, yeah, you know you should write a business plan whether you need to secure a business loan or not. The thing is, a business plan doesn’t have to be encyclopedic and it doesn’t have to have all the answers. A well-prepared plan—revisited often—will help you steer your business all along its growth curve. Try to think of your business plan as a living, breathing project, not a one-time document. Break it down into mini-plans—one for marketing, one for pricing, one for operations, and so on. Starting a business can be a lonely endeavor, but there are lots of free in-person and online resources that can help advise you as you get started. Check out what‘s offered at your Small Business Development Centers; SCORE, at score.com (which offers free mentoring services); Women’s Business Centers, your local U.S. Small Business Association (SBA) office, or DisabilityIn. Where you locate your business may be the single most important decision you make. Many factors come into play such as proximity to suppliers, the competition, transportation access, demographics, and zoning regulations. You may choose to bootstrap, fall back on savings, or even keep a full-time job until your business is profitable, but if you are looking for an external source of financing, these resources explain your options. Going it alone or forming a partnership? Thinking of incorporating? What about an LLC? How you structure your business can reduce your personal liability for business losses and debts. Some choices can give you tax benefits. To help you determine the right structure for your business, the SBA can provide an overview of your options, information on how to file the necessary paperwork in your state, and the tax implications of your decision. Registering a “Doing Business As” name or “trade name” is only needed if you name your business something other than your personal name, the names of your partners, or the officially registered name of your LLC or corporation. Not every business needs a tax ID from the IRS (also known as an “Employer Identification Number” or EIN), but if you have employees, run a business partnership, a corporation or meet certain IRS criteria, you must obtain an EIN from the IRS. You’ll also need to start paying estimated taxes to the IRS; visit irs.gov for more about this process. Employment taxes, sales taxes, and state income taxes are handled at the state-level. Visit sba.gov to learn more about your state’s tax requirements and how to comply. All businesses, even home-based businesses, need a license or permit to operate. The SBA provides a guide explaining permits and licensing and includes a handy “Permit Me” tool that lets you determine what your permit and licensing needs are, based on your zip code and business type. The SBA is one of your best resources for establishing, operating and growing your business. You’ve reached a turning point in your military career. You’re transitioning from active duty to civilian and are considering business ownership as your next move. 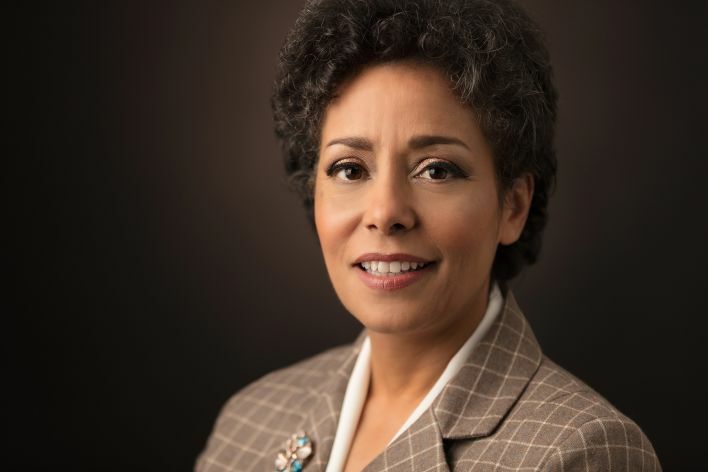 Regardless of where you are in the entrepreneurial process—toying with a few business concepts or ready to execute your business plan—the SBA and its partner network are ready to support you. Let your process begin with Boots to Business, a free entrepreneurship training course offered by the U.S. Small Business Administration (SBA) through the U.S. Department of Defense’s Transition Assistance Program (TAP), and continue with free business counseling, mentorship, and even guidance on accessing capital for your business. Ready for a smooth transition into business ownership? Here are a few ways you can get started. Sign up for the Boots to Business course. Boots to Business is open to transitioning service members (including National Guard and Reserve) and their spouses on military installations worldwide. The course provides you with an overview of business ownership, including topics like market research, business financing, legal considerations, and additional resources to tap into throughout your entrepreneurial journey. Visit sbavets.force.com for a list of upcoming classes, then contact the transition office on your military installation to register for your desired course date. Already completed your transition but still want to take the course? Boots to Business Reboot brings the course off military installations and into your community. Get in touch with your local Veterans Business Outreach Center (VBOC) for details on upcoming course dates. Connect with your local VBOC. 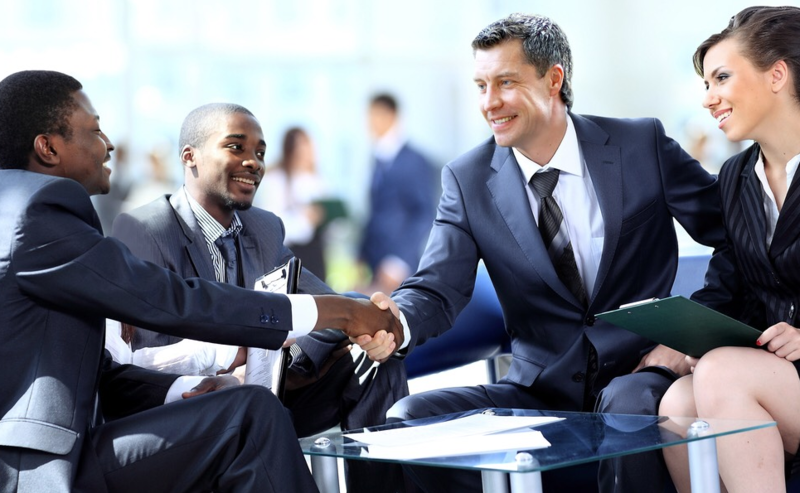 With locations across the nation, VBOCs can provide you with business advice/recommendations and connect you with other business counselors, training programs, and referrals in the SBA network. To learn more about the SBA’s veterans programs, visit sba.gov/veterans. While on a mission in Afghanistan on July 23, 2011, a pressure plate improvised explosive device detonated beneath U.S. Army Captain Jake Murphy, immediately taking his left foot and causing an anoxic brain injury that put him into a coma. 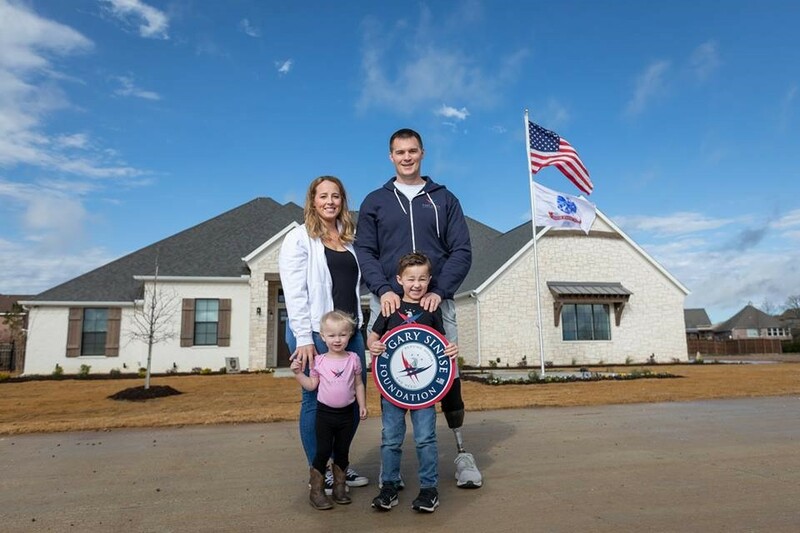 Against all odds, Murphy emerged from his coma four weeks later and was flown to Walter Reed National Military Medical Center, where he eventually lost both of his legs. Recognizing Cpt. Murphy’s immense bravery, the Gary Sinise Foundation R.I.S.E. (Restoring Independence, Supporting Empowerment) program provided him and his family a specially adapted smart home with technologies by Nortek Security & Control in an effort to help improve and simplify everyday life for the family of four. Comware AV built the system with an ELAN gSC10 as the main system controller, with an ELAN S1616A providing audio distribution and a 8×8 HDBaseT™ Matrix for video. The Murphy family can manage their home’s security, audio, video, Lutron® lighting, fans and shades, plus thermostats, and door locks through ELAN HR30 remotes in the family room and master bedroom, ELAN 7” Touch Panels in the kitchen and master bedroom, as well as through the ELAN app on their smart devices and with voice control through ELAN’s Amazon Alexa® integration. 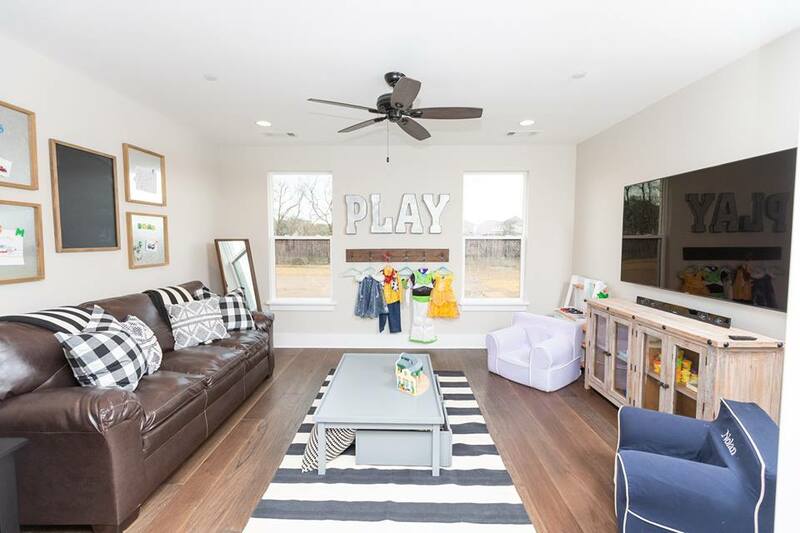 Murphy and his family can easily review the status of their home’s doors and windows before leaving the house or turning in for the night, using the GC3 panel, two 2GIG SP1 secondary touchscreens or any of their ELAN interfaces. If a door is left open, the 2GIG system will annunciate exactly which doors or window are open, and where. For further security, an ELAN network video recorder captures video from six ELAN surveillance cameras, all which can be managed from within the ELAN app. For the Murphy family, music and entertainment are important aspects of home life. The Comware AV team installed 18 SpeakerCraft AIM282 speakers to maximize audio performance, and added a 1,000-watt Sunfire HRS10 subwoofer so the family can really “feel” the entertainment in the media room. 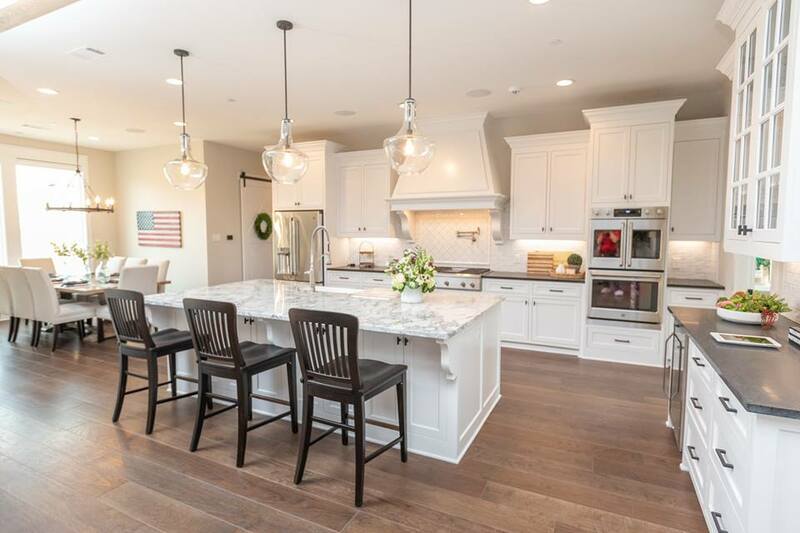 To ensure that all of the home’s technology receives uncompromised power for optimal operation, the system components plug into a Panamax M4315-PRO power conditioner with BlueBOLT® remote power management, while a Panamax MB-1500 battery backup guarantee protects the system in case of a power outage. ELAN®, from Nortek Security & Control, develops an award-winning line of whole-house entertainment and control solutions distributed through a comprehensive channel of select dealers throughout the United States, Canada, and countries worldwide. The ELAN 8 update was honored with the “2017 Human Interface Product of the Year” award, and continues to expand its intuitive functionality with security, climate, surveillance and video distribution products and integrations. To learn more, visit www.elanhomesystems.com. Nortek Security & Control LLC (NSC) is a global leader in smart connected devices and systems for residential, security, access control, and digital health markets. NSC and its partners have deployed 5 million connected systems and over 25 million security and home control sensors and peripherals. 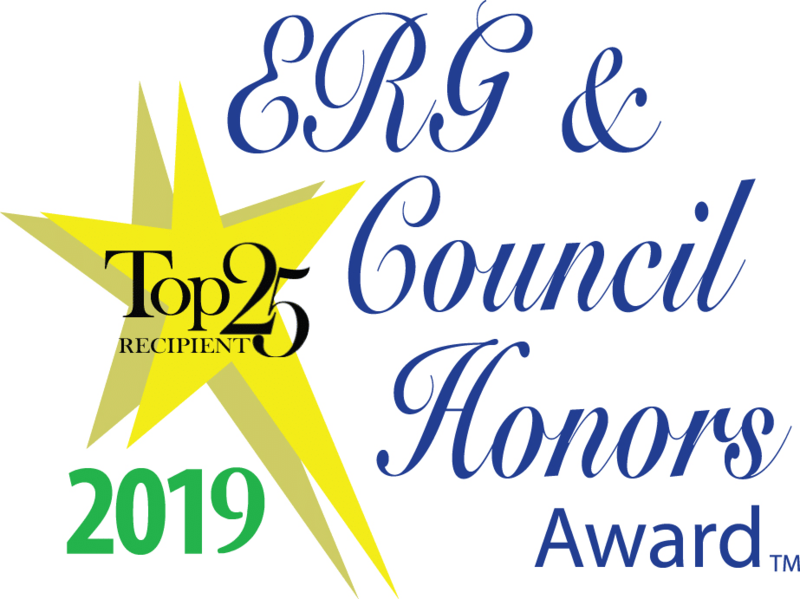 Through its family of brands including 2GIG®, ELAN®, Linear®, GoControl®, Mighty Mule® and Numera®, NSC designs solutions for security dealers, technology integrators, national telecoms, big box retailers, OEM partners, service providers, and consumers. Headquartered in Carlsbad, California, NSC has over 50 years of innovation and is dedicated to addressing the lifestyle and business needs of millions of customers every day. For further information, visit nortekcontrol.com. Some organizations, such as TriWest, GAE, and the Combined Insurance Company of America, appoint a key veteran staff member to lead efforts in recruiting high-potential veteran candidates transitioning from military service to the private sector. This person understands military and corporate culture and can help HR and hiring managers understand military culture and service. 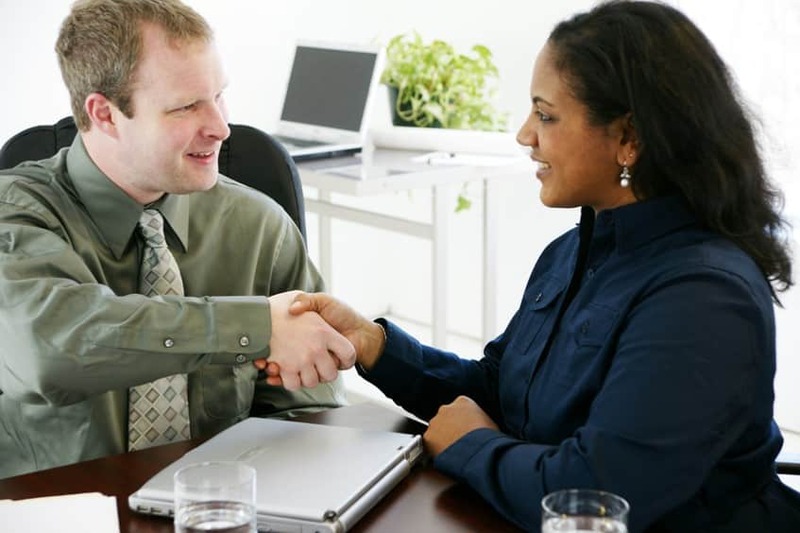 However, general recruiting efforts may not reach prospective employees with disabilities, so advertising with disability organizations, vocational rehabilitation programs, and disability-related job fairs are good ways to reach potential employees with disabilities. Another means for attracting veterans is to develop marketing materials that help translate and transfer military skills/experience into civilian job responsibilities. Organizations that have focused veteran recruiting strategies leverage military classification codes in their application materials and jobs postings. These codes specify an individual’s job and rank, and often include additional qualifications, such as languages or specialized training. Numerous organizations offer specialized websites for veterans, including AT&T, Amazon, Disney, JPMorgan Chase, Microsoft, Sodexo, T-Mobile, and Walmart Inc. Military recruitment channels, career fairs, and other similar events are additional avenues where businesses can share their employment opportunities and veterans can explore whether there’s a match with their skills and experience. Businesses can showcase their job opportunities along with the benefits of joining their organization, while veterans have the opportunity to demonstrate they are some of the most qualified talent in the nation. Partnerships with business and trade associations represent another important channel for recruiting veteran talent, as well as a means for communicating the value of veterans in the workforce. Leveraging community collaboration and networking with other firms are excellent means for sourcing veterans. Encouraging inter- and intra-industry collaboration to identify and utilize the most comprehensive military skills translators creates more effective placement. The 100,000 Jobs Mission, a coalition of 41 companies committed to hiring at least 100,000 veterans by 2020, is an example of private-sector collaboration contributing to improved recruiting practices and outcomes. JPMorgan Chase has instituted a “High-Touch Gold Desk,” where recruiters respond to any veteran applicant within five days of receiving the individual’s application for employment. 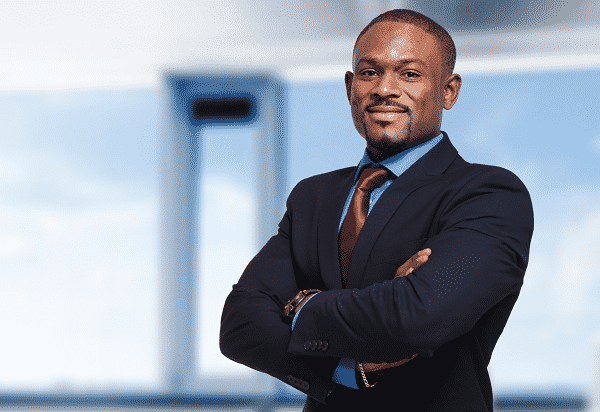 This high-touch approach is positioned to support veterans in finding the right opportunity at JPMorgan Chase, based on the applicant’s experiences and qualifications. In addition, this personal response to each and every applicant has the benefit of helping the company’s HR staff become better educated as to how military skills and experiences correlate to the firm’s different work roles. The program functions by utilizing integrated, regional teams that map veteran applications against available positions at the firm. Using those maps, the teams are able to identify positions across the firm that best match the veteran’s skills profile. This results in a process that aligns the veteran with an opportunity where he or she is most likely to find success and also facilitates an approach to recruitment and hiring that looks across lines of business, as opposed to within a given organizational silo. Other examples of focused military recruiting are at BAE and the Lockheed Martin Corporation. BAE provides career pathways for wounded warriors through its Warrior Integration Program (WIP), which is specifically designed to identify, hire, and develop qualified wounded veterans into valuable employees. Lockheed participates in the Army Partnership for Youth Success Program (PaYS), which allows those who serve our country to plan in advance to explore private-sector job opportunities. The program gives new soldiers the opportunity to select a job with a PaYS partner during the time of enlistment. After the position has been selected, a Statement of Understanding is signed, and the PaYS employer/partner promises to interview the returning solider, as long as he or she receives an honorable discharge, is otherwise qualified, and a job vacancy exists. Many companies, including Walmart, leverage campus recruiting and veteran service organizations, such as the Student Veterans of American (SVA). Ernst & Young organizes veteran internship fairs at schools, while AT&T leverages internships that provide veterans job shadowing opportunities. 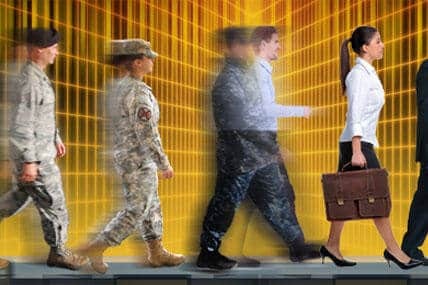 Following are other resources positioned to support employers with veteran-focused recruiting and onboarding initiatives. VETS proudly serves veterans and service members by providing resources and expertise to assist and prepare them to obtain careers, employment opportunities, and employment rights, as well as information on transition programs. VETS offers a multitude of resources for veterans looking for jobs. Joining Forces is a great resource and offers some of the nation’s top job resources for veterans and employers, such as access to the Veterans Job Bank, links to employment tools, like My Next Move for Veterans, and many more. This event includes military-friendly employers that represent thousands of available job opportunities for veterans. An effort of the 100,000 Jobs Mission, the U.S. Veterans Pipeline is a talent networking and career management platform that allows users to connect directly to peers, companies, jobs, schools, education programs, and more. This joint initiative between DOL’s Employment and Training Administration (ETA) and VETS provides post-9/11 era veterans with intensive and follow-up services, necessary for success in today’s job market. Eligible veterans can present their Gold Card at any One-Stop Career Center to obtain enhanced intensive services that include up to six months of follow-up, job readiness assessment, referral to job banks, and much more. JPMorgan Chase and the other founding corporation/coalition members are committed to working together, sharing best recruiting and employment practices, and reporting hiring results. This initiative is a gathering place where business leaders, government officials, and concerned citizens can learn, share information, and commit to helping our nation’s disabled veterans find and retain meaningful employment. This initiative provides information, tools, and guidance for recruiting, hiring, training, and supporting disabled veterans in the workplace. Hire Heroes USA (Hire Heroes) is dedicated to creating job opportunities for U.S. military veterans and their spouses through personalized employment training and corporate engagement. Offers virtual and in-person meetings or webinars, helping military spouses with resumes, employment resources, training to update skill sets, and assistance in finding employment resources in their current location or the area to which they’re relocating. Terms like 8a, SDVOSB, VOSB, and CVE can be confusing for many veterans related to what they might be eligible to use and what the status means to their company. Why should I get a Veteran certification? If you are selling to the government or if you are selling to major companies that do business with the government, a Veteran certification gives you more tools in your marketing toolbox—it may give you leverage in some contract bidding. Each year, the federal government is required to buy a certain percentage of their purchases from small businesses and businesses that have minority or presumed disadvantaged status. Sometimes the government reaches its goals through bid preferences. In a bid preference, if a non-certified company and a certified company both bid $100,000, the certified preference company bid might be viewed as $95,000, thereby giving them the winning bid. In other cases, the procuring agent might decide that only a certain classification of businesses could bid on a particular contract. This is referred to as a “set aside” solicitation. In the set aside scenario, a procurement officer may decide to only open the bidding process to a minority or preference class of business. Any company that did not have the required certification would not be able to bid on the project. One limitation to this setting is that if there are not at least two businesses of this classification bidding, the bid may have to be reissued and opened to a wider group. In some cases, a procurement officer may be able to justify a sole source contract, but that is the exception, not the rule. 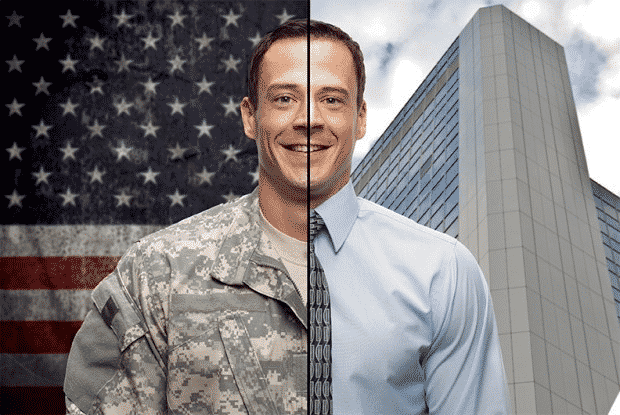 What are the types of Veterans certifications available? Small Business Administration (SBA) 8a Service Disabled Veteran Owned Small business (SDVOSB). The SBA 8a SDVOSB requires an application process to validate the certified status. For the certified SBA’s 8a SDVOSB, only Veterans who are service-connected disabled Veterans can apply. Veteran-Owned Small Business (VOSB). This status is self-certified by the business owner in the System for Award Management (SAM) Website. Service Disabled Veteran Owned Small Business (SDVOSB). This status is self-certified by the business owner in the SAM Website. Veteran Administration (VA) Certified Veteran Enterprise (CVE) Veteran Owned Small Business. The VA CVE is primarily used for the VA’s Vets First program. It is not a substitute for the SBA 8a certification. VA CVE SDVOSB. As noted above, the CVE is mainly for doing business with the VA. The Veteran or Veterans must own a minimum of 51 percent of the business. The Veteran or Veterans owning the business must show control of the day-to-day operations of the business and must be the highest-ranking officer of the company. In some cases, where a Veteran is severely disabled, some of that operational control may be handled by a spouse or other family member. To qualify for the Service Disabled Veteran-Owned Small Business (SDVOSB), the disability must be a service connected disability and must be shown on the DD214 document issued when discharged from the service. For the three certifications issued by the SBA or the VA, the same requirements listed above apply, but must all be supported by documentation to prove ownership and control. Although the documentation may at times seem cumbersome, it is used to verify that the business is indeed owned and operated by the Veteran. This protects the true Veteran-owned businesses and allows them to compete competitively. 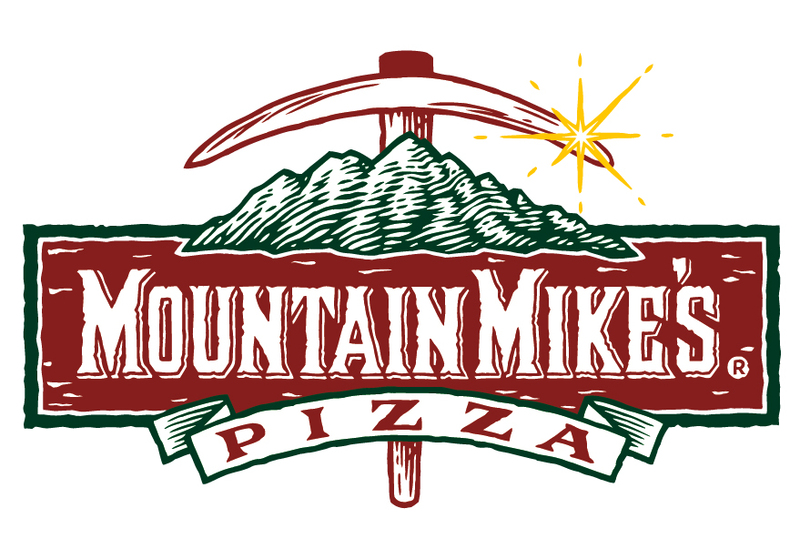 Mountain Mike’s Pizza is committed to serving “pizza the way it oughta be!®.” Headquartered in Newport Beach, California, Mountain Mike’s is a family-style pizza chain with more than 200 franchised restaurants in California and the West. 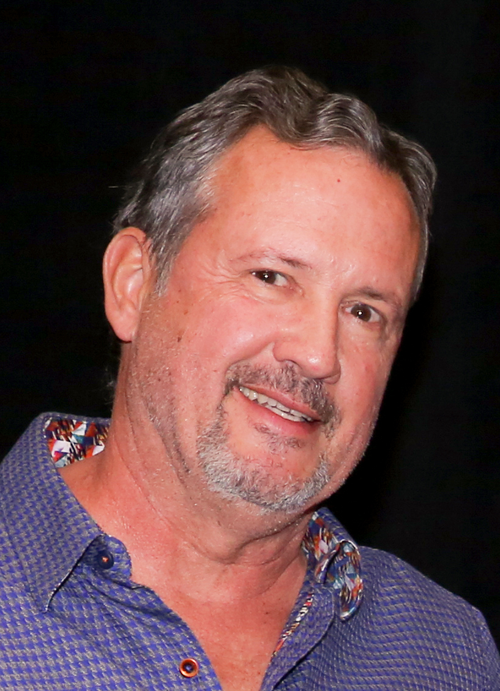 Marine veteran John Maddox owns nine of these franchises throughout the Central Valley region of California, the most locations of any franchisee in the system. He spoke to U.S. Veterans Magazine about his transition from the Marines to business ownership and how his military experience serves him in his current role. Why did you decide to open your own business? My father also served in the armed forces and I was an Army brat, so my family moved around a lot. I was born in Oklahoma and lived in multiple cities across the U.S., and even internationally in Germany. We finally settled in Northern California when I was a teenager. Following my high school graduation, I attended college near home at San Jose State and majored in aeronautics. 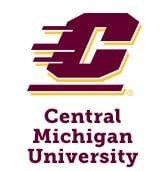 While pursuing my university education, I worked at McDonald’s in a management position, and really fell in love with the industry. I enjoyed interacting with customers and forged lasting relationships with several colleagues who eventually helped guide me in my early days as a franchisee. I flew helicopters for the Marine Corps and gained a lot of invaluable experience, but as with any military lifestyle, I continued to move quite a bit and didn’t see as much of my family as I would have liked. When my service with the Marine Corps concluded in 1992, I wanted my next step to be something that would keep my family in one place for a while. I decided to pursue a career in an industry in which I had experience, felt comfortable and was passionate about: food service. It was all about establishing roots in a community on both a personal and professional level. As I began looking at my options, I got in contact with a former colleague who had found success as a franchisee in the pizza industry. I did my research and considered many different types of business opportunities and franchise concepts, ultimately landing on Mountain Mike’s. I was attracted to the brand for many reasons—the first being that my family and I really enjoyed the pizza. In terms of quality and flavor, I don’t think there’s anyone out there that does it better, and I felt very good about that. Also, Mountain Mike’s Pizza had a great reputation in Northern California, with plenty of room for growth, compelling average unit volume, and a history of being an active part of the communities it served. I know I made the right choice, because this continues to be true today. Their established business model and supportive corporate team provided the necessary tools for me and other franchisees to succeed, and I have been lucky to continue growing with the brand as both a franchisee and an area developer. What lessons did you take from the military that helped you in running your own business? One of the major things I took from the military is to value the process of training. As a Marine Corps officer, it’s important to train others, and train others how to train others. I also learned the importance of leadership by example. When we first opened, I was in the store from open to close every day for three months straight. It’s important for your employees to know that you’re willing to put the work in and go the extra mile, because they will work hard if you do. Another thing officers in every branch of the military are good at is delegating; hire good people who know how to get the job done, and get out of their way. Lastly, in the military, you learn how to make decisions—hard decisions. You have to be strong enough to tell people “no,” which is an essential skill for any business owner. What advice would you give other veterans who want to open their own businesses? I would tell other veterans looking to get into franchising to do their homework. This is something you’ll be doing every single day, so take the time to research your options and choose something you’ll enjoy. It was important to me to work with a concept that offered a high-quality, delicious product, and Mountain Mike’s Pizza has continued to show a commitment to delivering nothing but the best over the past 40 years. Also, build a business plan and make sure the numbers work before diving in and signing on the dotted line. It could be one of the most successful franchises out there, but as a business owner you have to understand and be comfortable with the financial risk and time commitment involved with building a successful business. Not only did Mountain Mike’s Pizza offer a superior product to similar brands in the industry, they are all about serving and supporting their communities, which was important to my family and me. We continue to uphold this core value by making it a priority to be very active with local schools, community groups, youth clubs and sports leagues, charities and more. We’re committed to putting in the work and investing in our communities because we care about our customers. The benefit is that we’ve built a large and loyal customer base organically. I went from being an officer in the Marine Corps to making pizzas, and although it was really hard work, it has paid off. Not only do I truly enjoy the restaurant industry and love building relationships with customers, some of whom have become close personal friends, but I’ve also seen a positive return on investment since starting my journey with Mountain Mike’s Pizza. The company is in a growth phase, and I plan to take advantage of the opportunities available to continue growing with the brand. For more information, visit mountainmikespizza.com. PRISM International Inc., a Talent Dimensions company, is a WBENC-certified, full-service provider of innovative and proven consulting, training and products for leveraging diversity and inclusion, addressing unconscious bias, increasing cross-cultural competencies and creating more effective ERGs and Diversity Councils. Learn more by visiting PrismDiversity.com. 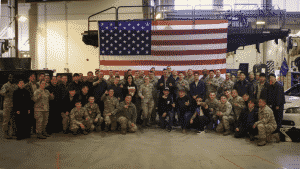 Active duty service members and veterans alike are big fans of Richard Rawlings. 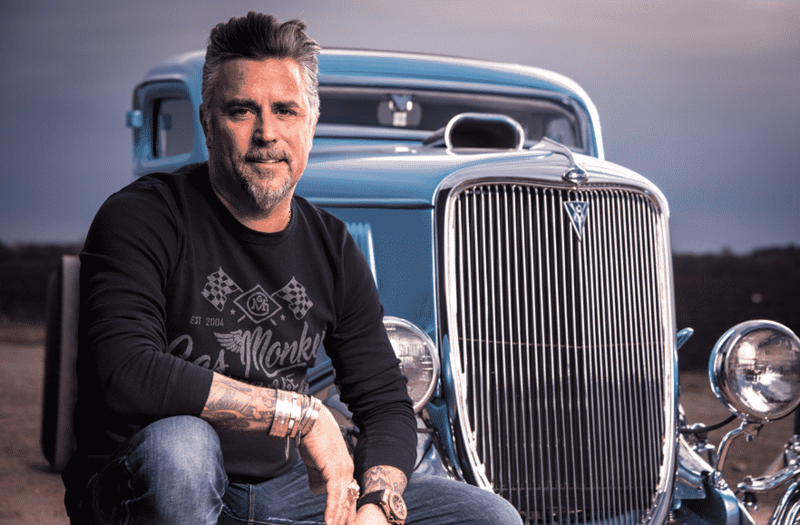 From outposts around the world, they tune into Fast N’ Loud, a Discovery Channel TV show that features Rawlings and his crew restoring broken down, classic cars in the Gas Monkey Garage. Rawlings’ products—energy drinks, tequila, sweatshirts—are available at more than 200 military bases in the United States and abroad. That our troops are fans of his shows and his famous—or is it infamous?—”Gas Monkeys” and request that his merchandise get trucked, flown, and shipped to bases from Camp Pendleton to South Korea to Guam never ceases to amaze him. “It’s an absolute honor,” he said. As for what servicemen and women do as professionals and as patriots, he said, “It’s just very noble.” Rawlings is nothing if not relatable. He’s Texan, folksy, funny, and a bit of a gearhead, and he drinks Miller Lite and razzes his pals. He’s the consummate guy next door. And he’s a family man. Let’s face it: In the car and garage business, dudes are the demographic, right guys? But that’s not entirely so with Fast N’ Loud and his other show, Garage Rehab, on which he helps struggling shop owners. Garage Rehab debuted in 2017 and is now in its second season. And yes, men can’t get enough of watching the crew cherry out a Ferrari F40 or 1930 Ford L-29, but women love it, too, and families also watch the show together. That’s exactly how Rawlings planned it after watching hours and hours of machismo car shows. In 2002, Rawlings launched Gas Monkey Garage in Dallas. The shop created automobiles for customers worldwide. Soon after, he got out of the printing business when he sold Lincoln Press. Now, it was all cars, all the time. Since 2012, the facility has been the focus of Fast N’ Loud. In September 2013, Rawlings started Gas Monkey Bar N’ Grill in Northwest Dallas, then set up a second location at Dallas Fort Worth International Airport in March 2014. Rawlings is working to launch a third Texas grill outside the Dallas-Fort Worth metropolitan area. All the entertainment activity on top of multiple lines of merchandise? 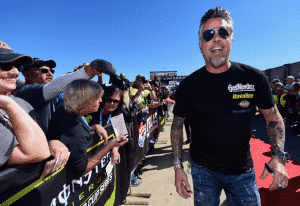 He’ll never admit it, but Richard Rawlings—the car kid, the self-admitted daydreamer, the maniac who broke the Cannonball Run record with a time of 32 hours, 51 minutes from New York City to Los Angeles—is a mogul. Rawlings, born in Fort Worth in 1969, got his love of cars from his dad, who liked to fuss about in the garage and go to car shows. He learned the business of buying and selling cars in high school. His first car: a 1974 Mercury Comet. But back then, all he wanted to do was scrape together enough dough to buy his next cool ride. After graduating from Eastern Hills High School in Fort Worth, he worked as a police officer, firefighter, and paramedic. Then he got bit by the entrepreneur bug and opened a printing business. But his first and abiding love has always been cars. Rawlings learned early on that if you’ve got cash in your pocket, you can buy ramshackle rides on the cheap, then fix, shine, and sell them for a profit. But it wasn’t all about money; it was about taking a no-hope car and making her new again. He pitched a reality TV show built around that concept for eight years and heard, “sorry, no thanks” about a million times before landing Fast N’ Loud. Ball Runner, the handsome man at the wheel of a Trans Am: Burt Reynolds. Reynolds passed away last September, but not before Rawlings got the chance to meet him and pay homage. Several years ago, in what’s become a classic episode of Fast N’ Loud, Rawlings rolled up to Reynold’s Florida home in a 1978 black bandit Trans Am and shook hands with the star. He was also trying to collect on a bet—a $25,000 roll of the dice—that he could get Reynolds to sign the Trans Am. 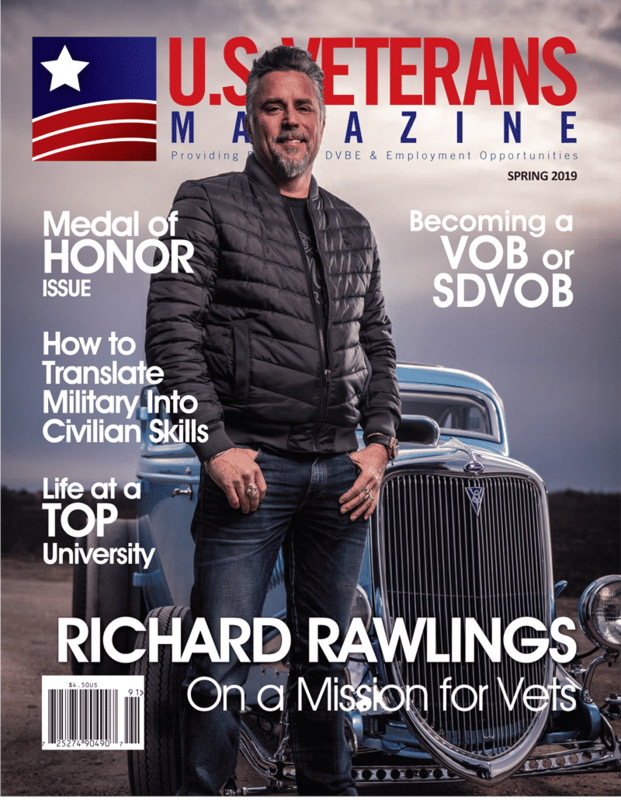 View the Spring U.S. Veterans Magazine’s Digital Issue featuring Richard Rawlings coming soon!